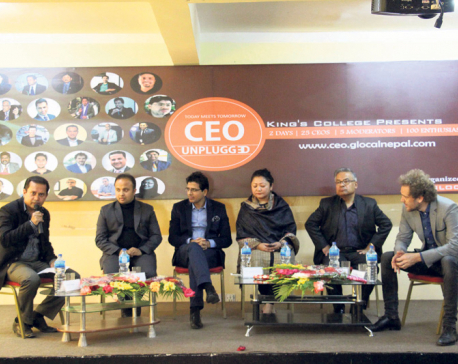 KATHMANDU, Feb 18: The 2nd CEO Unplugged has started at the Kings College in Kathmandu. 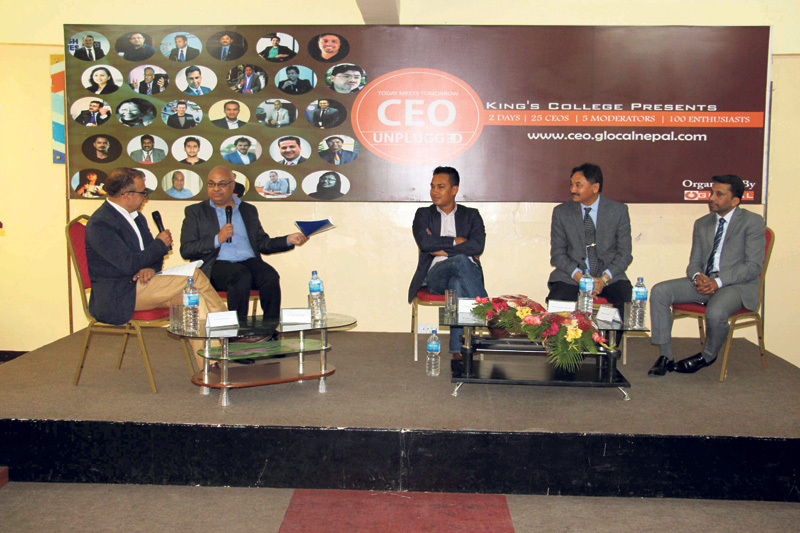 The event, organized by Glocal Pvt Ltd, features a series of panel discussions on the current situation, and challenges and opportunities for business and business startups, according to a statement issued by Glocal. According to the organizers, the two-day event featured discussions between 100 CEOs in Nepal on five topics -- opportunities and challenges of doing business in Nepal; Nepal in 2025; embracing change: collaboration between corporate and startup; linkage between talent and resources; and government policy and the start-up ecosystem.